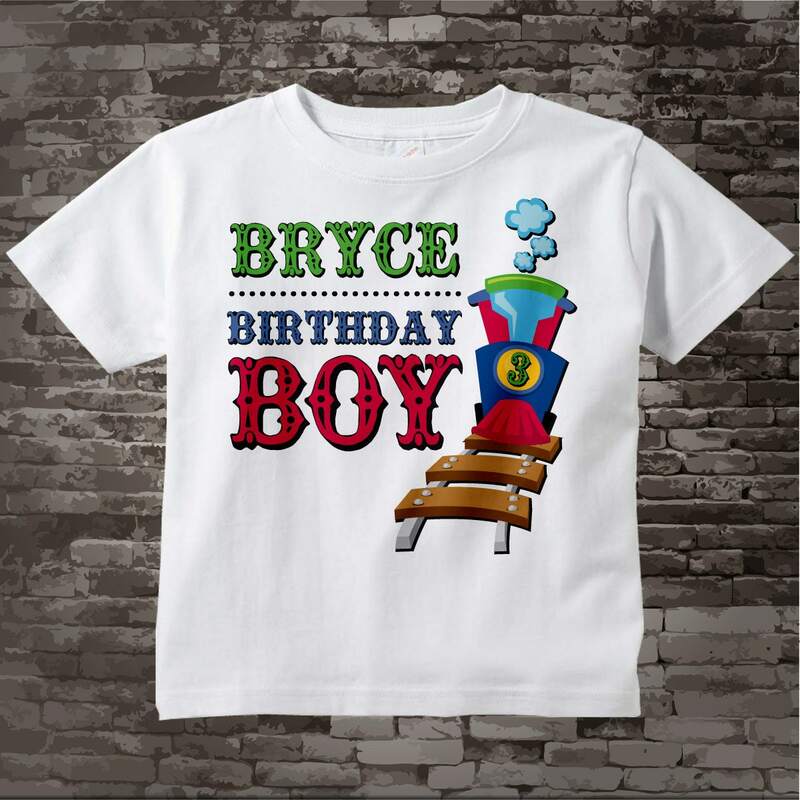 Third Birthday Train shirt. 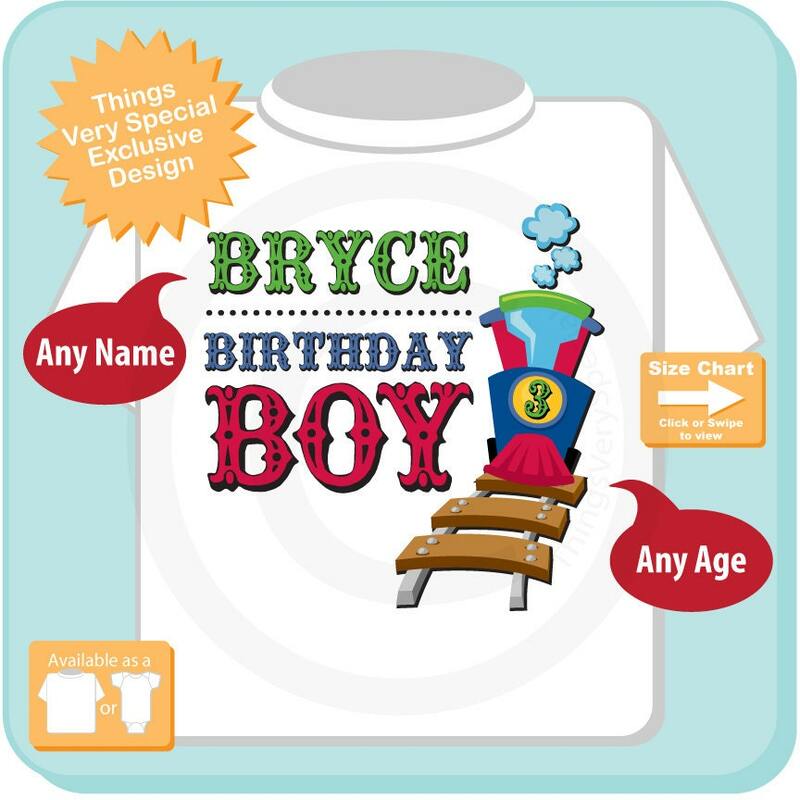 This cute tee shirt with awesome Locomotive Train can be personalized with your child's name and age. 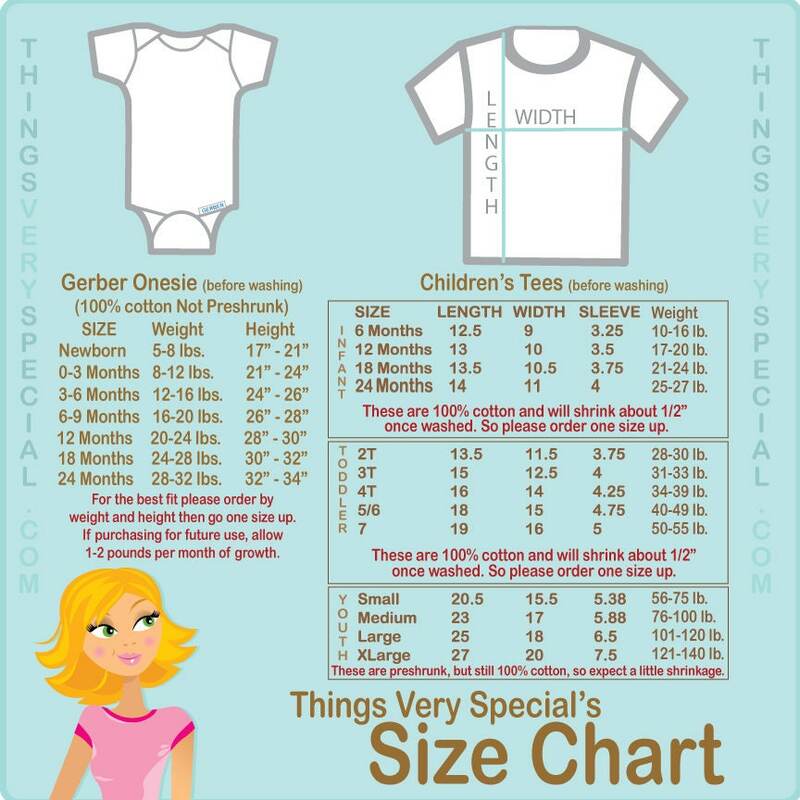 This shirt is absolutely perfect for my son's 3rd birthday. He loves it and so do I!! This was exactly what I expected...arrived in time for his 3rd birthday.